In the middle of its concrete jungle, the City of Dreams holds a few natural wonders. 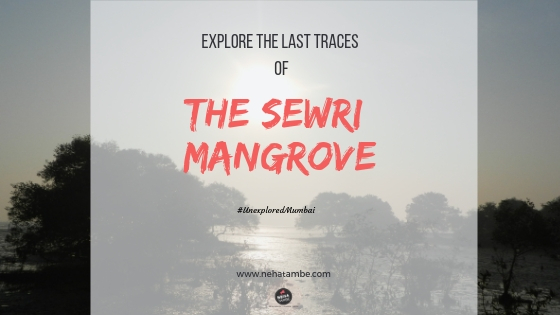 One such treasure is the mangrove patch of Sewri. 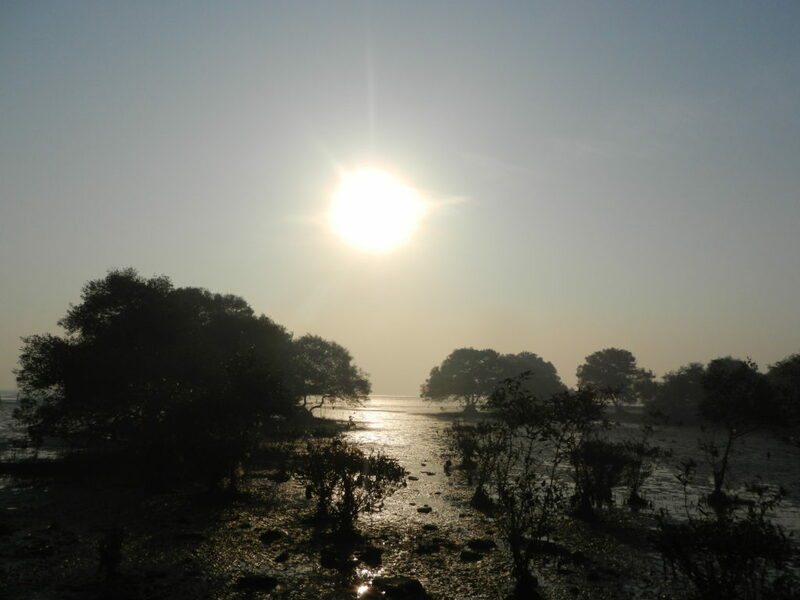 On the southeast shoreline of Mumbai, you will find 15 acres of mudflats stretching between Sewri and Trombay, fringed with mangroves and serve as the breeding ground of flamingoes. These pink feathered visitors are the real beauty of Sewri to behold and cherish and make for one of the best visual treats for travelers. Unfortunately, with rampant construction and development work in the neighboring urban land, these avifaunas and their homes have become endangered. The entire region is protected by the Mumbai Port Trust as a natural reserve. Every year, post monsoon, hundreds and thousands of these exotic birds fly down from Siberia and land first at the Rann of Kutch and then as the weather gets colder there, they travel further south spend the winter in Sewri. The muddy and salty waters of the marshes make for breeding grounds of worms and snails, which the flamingoes and other migratory birds feed on through the cooler months. That is why these mangroves attract bird watchers and naturalists in the autumn months to watch these exotic birds in close quarters. Sewri is located on southeast Mumbai and is about 9 Km from downtown (Churchgate station). You can book an affordable cab in Mumbai and reach Sewri Jetty in less than 30 minutes. The flamingoes fly from Kutch to Mumbai in the months of November and stay in Mumbai till April. The best time to visit these beauties is between January and March when you can see them in huge flocks. Since 1994, the pink flamingoes have been returning to the Sewri Creek to escape the colder altitudes and feed on the marshlands. Besides these adorable birds, this mangrove patch is also a popular nesting ground of migratory birds and local species of avifauna, which either live here or keep visiting the swamps off and on. For the past six years, the Bombay Natural History Society has been organizing the Flamingo Festival every year in Sewri. The annual event includes educational and informative sessions for nature activists, book readings, and interactive programs for kids. The idea is to build awareness of the mangrove land and save the endangered birds. Visit early morning in autumn or in the afternoon in the winter months to catch a sighting of the Greater spotted-eagle, sandpiper, heron, black-bellied tern, or the black-headed ibis. Among the local crowd, you might have a chance to see egrets, pond herons or reef herons, kingfishers, Green Shank, Wagtails, and Swallows, while flocks of common seagulls surveying the entire area for a quick catch of worms or fishes. Another species of bird exclusive to this region is the Black-tailed Godwits and if you spot one, you can easily identify it by its long beak, white wing with black edges. You can also visit the Mahul Creek in Trombay, which is another 8 Km from Sewri for more sighting of flamingoes and other rare birds. To visit Trombay, you can rent an affordable car with a trained driver from Mumbai city and do a Sewri-Trombay day early morning tour, when the chances of spotting birds are the highest. One of the numerous reasons that make Mumbai an interesting and fascinating travel destination of India, the Flamingoes of Sewri Creek are arguably the best and every traveler’s favorite. So, before these mangroves and their residents disappear soon, why not make it a point to experience in this wonder of nature? 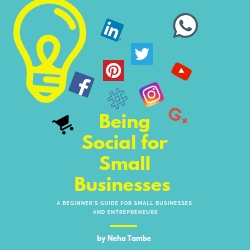 This is a guest post written by Archana Permi and all the content and images used here are provided by the author. Sewri is definitely a delight for bird lovers. Seeing those flamingos in bunches is real fun. Such a beautiful post.. flamingos are indeed beautiful.. sewri will be a must visit for me whenever I visit mumbai. Lovely to know that Mumbai has a mangrove patch left. The pink flamingoes are amazing category of avifauna to watch . Brings back fond memories of bird watching. 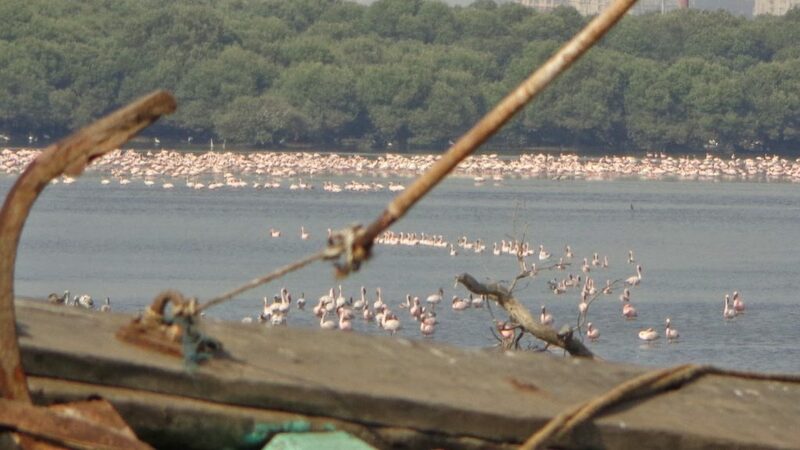 I was there few years back with a friend and we had enjoyed watching flamingoes in natural habitat. I wasn’t aware that there was a mangrove that’s so close to Mumbai. Would love to see all the fauna that is around the mangrove. Even after living in mumbai for all these years I never knew about all this. Would love to visit now. A visually delightful post for sure. I loved the picture of the flamingoes. The colour of the birds n the contrast background was incredibly captured. Great read. wow such an amazing place! From Mumbai, one can plan for a sudden weekend trip! Thanks for sharing all the details here. it’s a really interesting and informational post. this place really amazing place near to Mumbai.